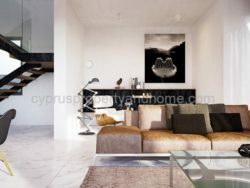 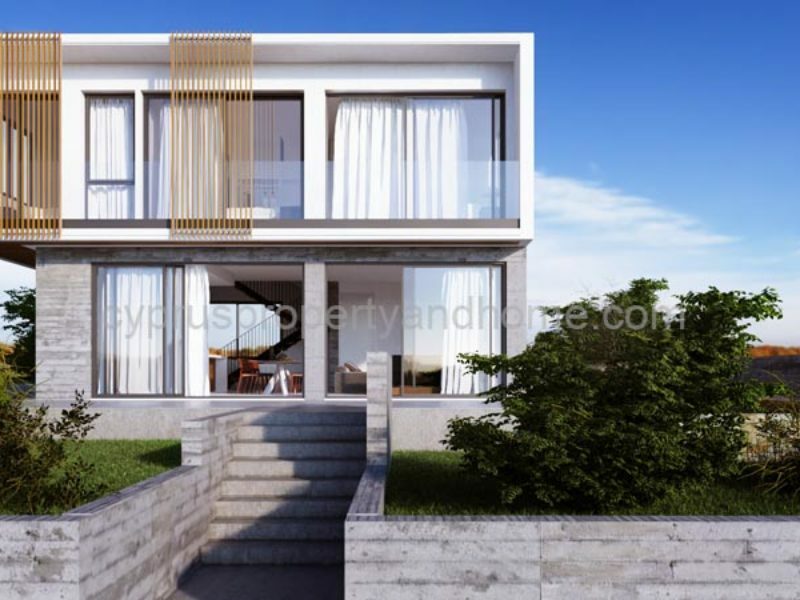 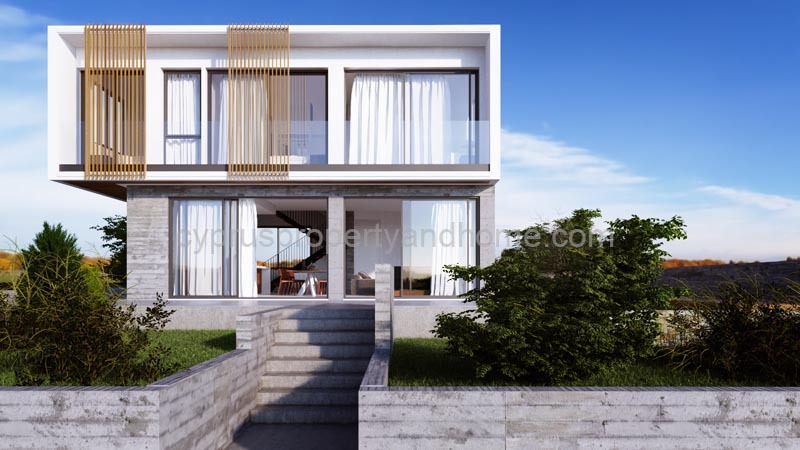 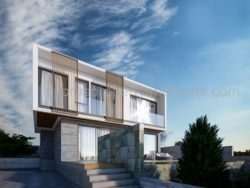 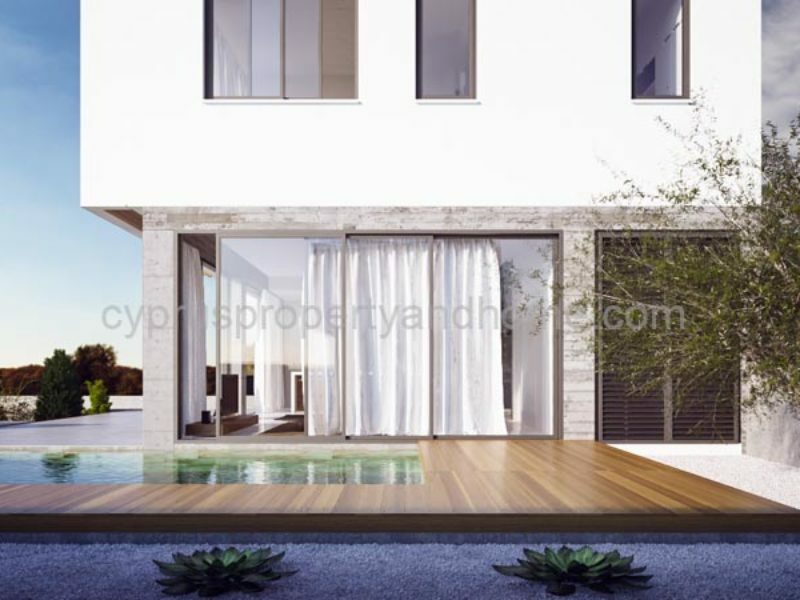 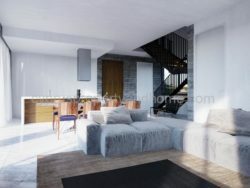 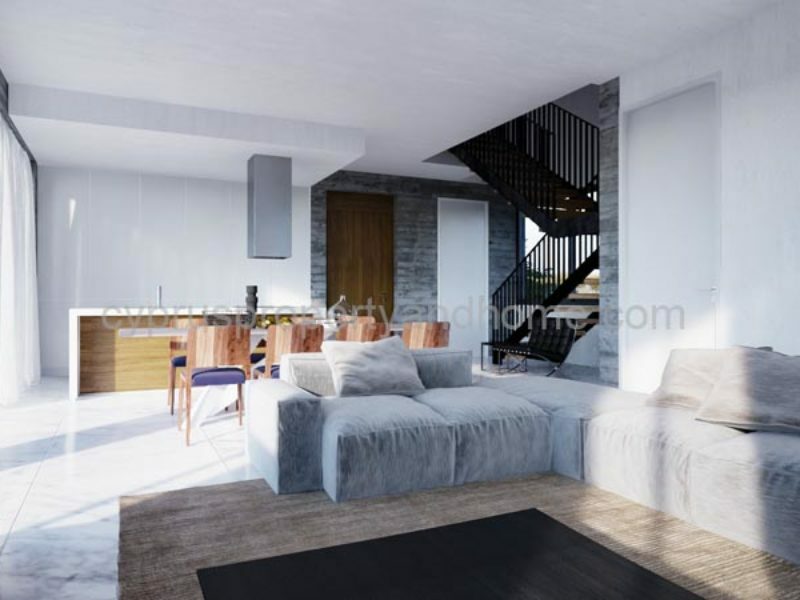 An elegant development, consisting of three contemporary designed villas. 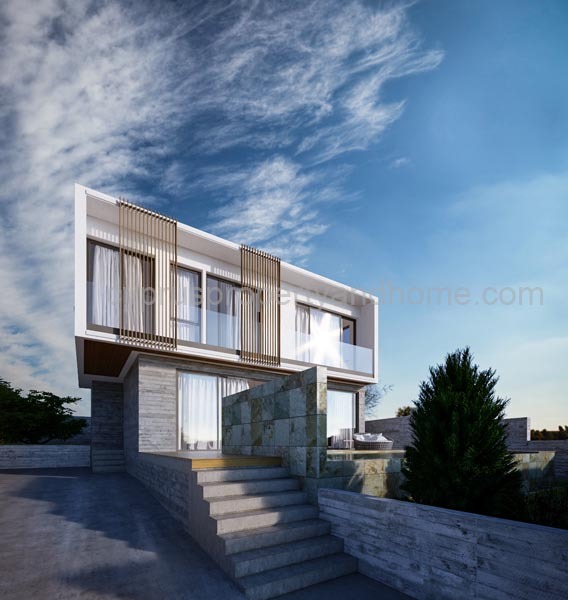 Sitting on a small hill, just 100m above sea level and with surrounding greenery located in Chloraka, Paphos. 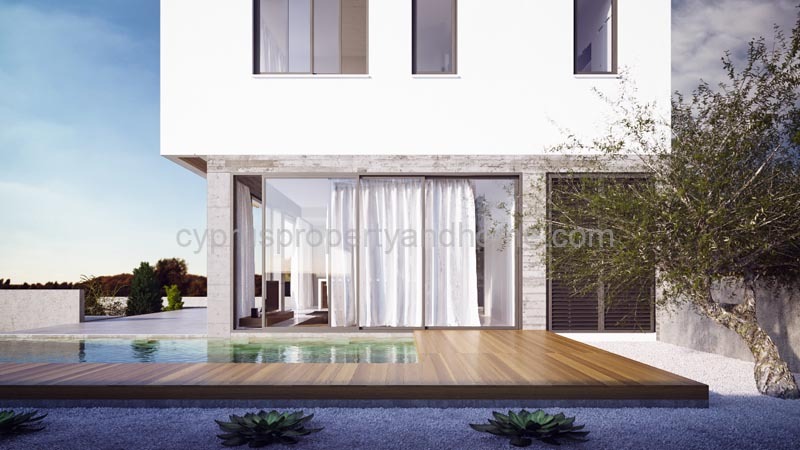 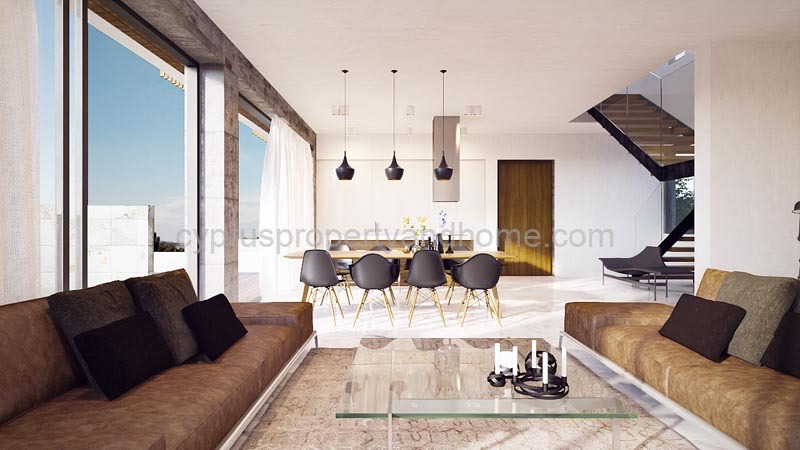 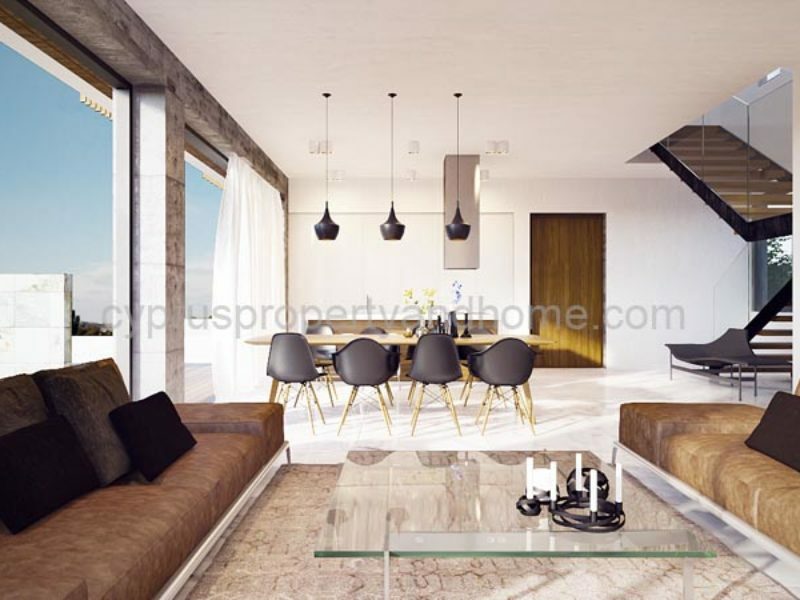 These properties offer privacy and at the same time proximity to all nearby infrastructure facilities. 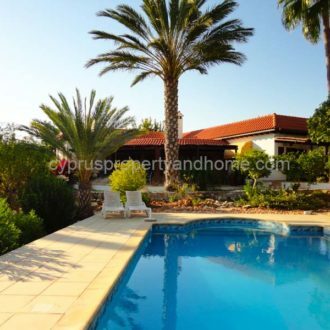 The nearest sandy beach is only 700 m away, while buses, hotels and supermarkets are within walking distance. 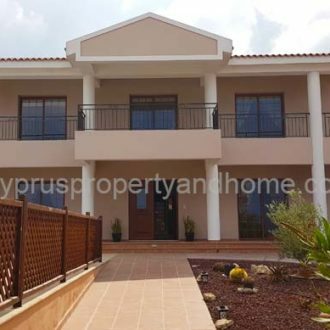 An ideal investment which gives the opportunity for a permanent residence or a holiday home, just 5 minutes drive from Paphos city center and port and only 3km away from Coral Bay Beach and upcoming Marina. 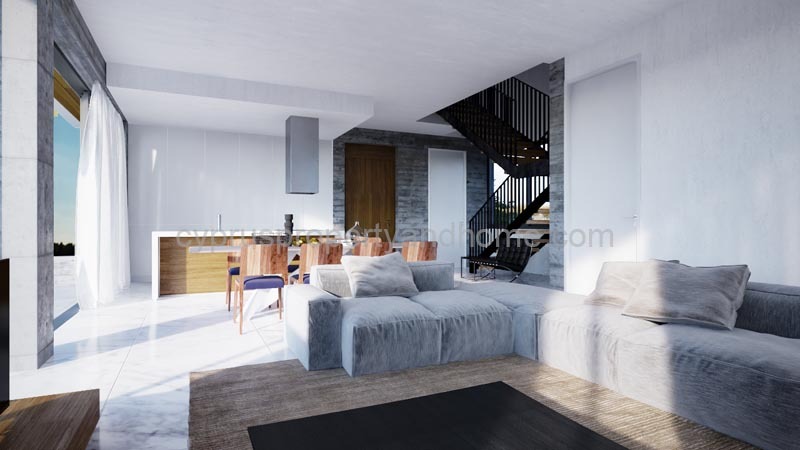 Designed in a single modern architectural style and built on 3 different levels these clean and sleek properties benefit from a spacious roof terrace on the 3rd floor. 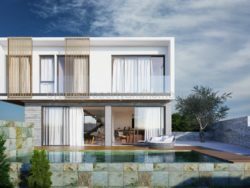 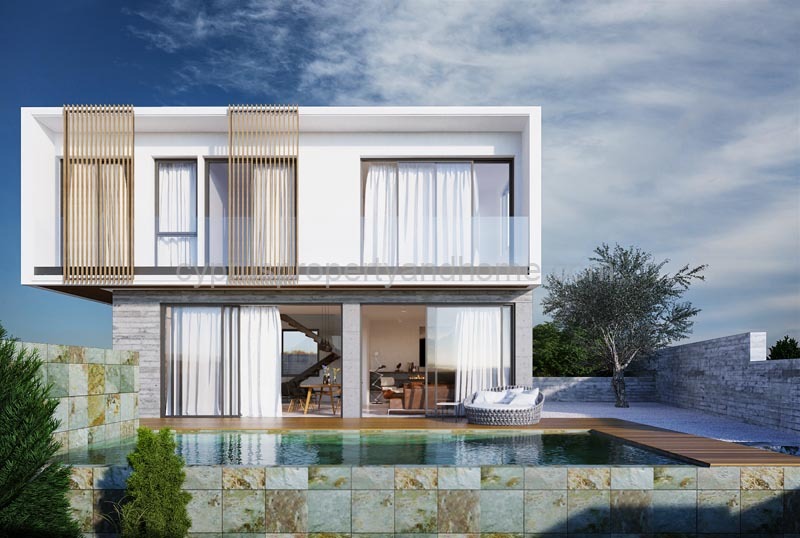 The villas/residences offer magnificent panoramic views of the Mediterranean Sea, one of the main advantages of the project, from all its rooms: the spacious living room, that opens onto a large terrace with an infinity pool, as well as from all three bedrooms of the first floor.